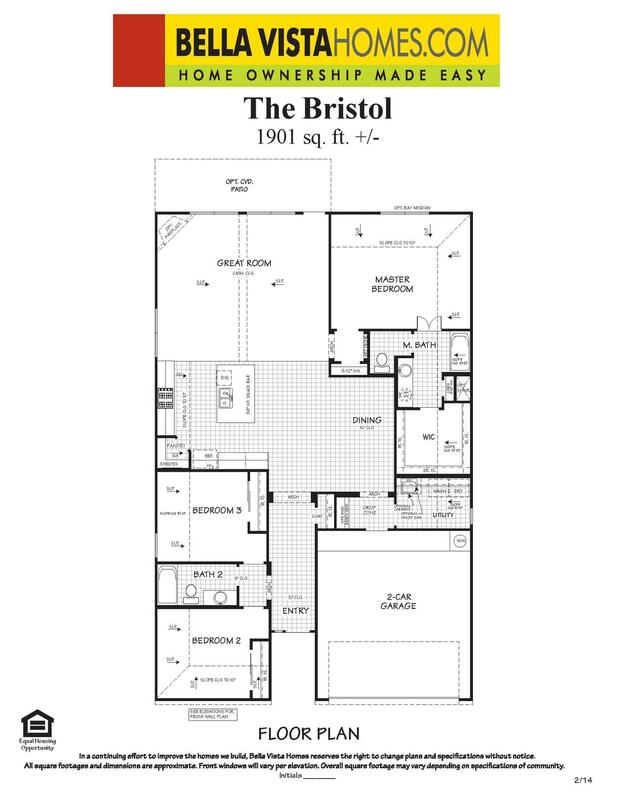 The Bristol floor plan is a one story home with 3 bedrooms and 2 baths. There is an option to extend the plan and add a study or 4th bedroom. There is also an option for a fireplace and a covered back patio.